MIAMI – September 28, 2018 – New York-based developer Property Markets Group (PMG), along with Toronto-based private equity and asset management firm Greybrook Realty Partners, global hospitality company Hilton (NYSE: HLT), and S2 Development, announce their partnership to bring one of the world’s most iconic hotel brands, Waldorf Astoria Hotels & Resorts, to Miami. This marks the first time this luxury brand will enter the Miami market. The Waldorf Astoria Hotel & Residences Miami will be located at 300 Biscayne Boulevard in Downtown Miami. The property will consist of a five-star hotel, private residences, retail and top culinary destinations. Rising 1,049 feet above Biscayne Bay as one of the tallest hotel and residential towers along the East Coast, the exemplary architecture is set to transform the Miami skyline. With 30 properties globally, the Waldorf Astoria brand continues to deliver exclusive, exceptional experiences around the world. Each legendary property boasts unique architecture and design elements, resulting in standout buildings that remain true to the essence of their respective locations. Recently, Waldorf Astoria launched its “Live Unforgettable” campaign, which combines True Waldorf Service, iconic environments and its guests’ desire to live in the moment. This brand positioning falls in line with PMG’s core principles of creating innovative ways to offer a truly unique result of luxury living. By fusing these two entities, the bar is being raised within the Miami market in order to create a landmark destination. Keeping with the brand’s tradition, PMG will incorporate several signature elements at the Waldorf Astoria Hotel & Residences Miami. More information regarding the project will be made available in the coming months. With condo-residential developments in Miami, New York and Chicago, PMG delivers premier luxury and high attention to detail throughout each of its projects. 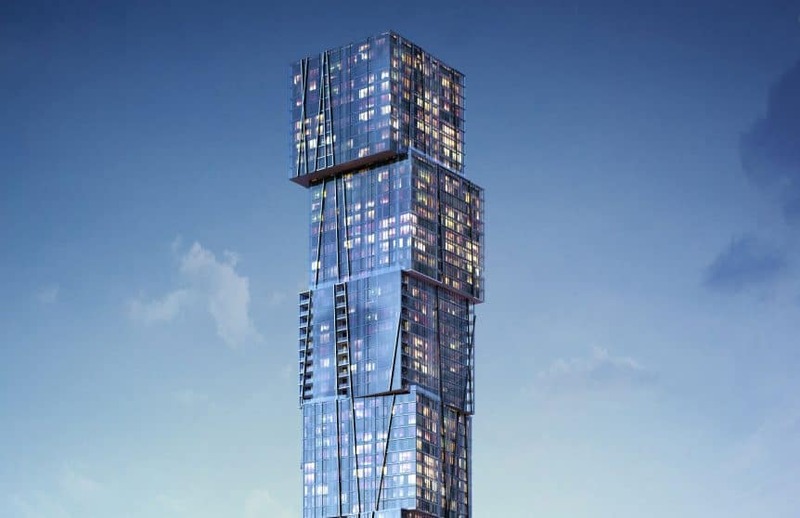 The developer is notable for meticulously-designed developments such as 111 West 57th Street, Walker Tower and 111 Leroy in New York City, as well as Echo Aventura, Muse Residences Sunny Isles, Echo Brickell and Mei within South Florida. Currently, PMG is developing more than five million square feet of new development that will deliver the sophisticated design, high-end finishes and premium quality that the developer has come to represent. Waldorf Astoria Hotel & Residences Miami will be managed by Hilton Management Services and will offer residences and guests alike a relentless commitment to personal service with Personal Concierges and True Waldorf Service.